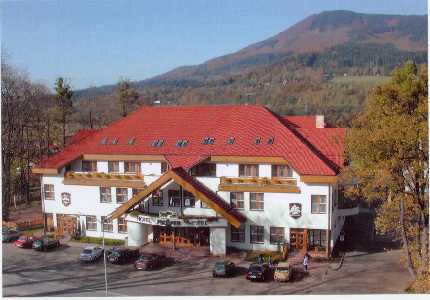 Hotel Grůň is situated at the foot of Grůň hill (550 m a.s.l.) in Moravian-Silesian Beskydy mountains. 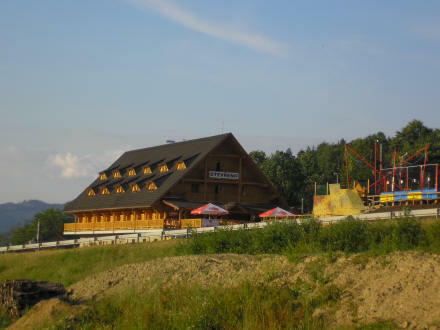 At close quarters of hotel, there is a SKI park Mosty u Jablunkova with all-season offer of recreation activities: 3 ski slopes and 4 tows in winter, tightrope park, climbing walls, mountain scooter sliding, bungee trampolines and kid´s amusement park in summer, and bob sleigh ride all year round. 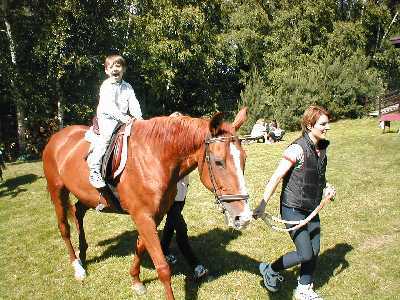 Take a train to Mosty u Jablunkova. From here a well marked walk up the hill, approx. 1 km. Take an intercity bus connection to Mosty u Jablunkova, "Mosty u Jablunkova, obecní úřad" bus stop. From here well marked walk. 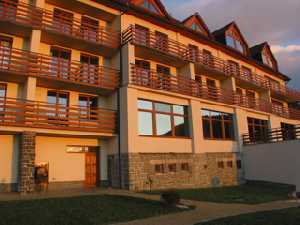 For wheelchair users reaching the hotel by public transport is very difficult. Railway station is not adjusted (stairs, rough terrain), bus stops are not adjusted for level boarding/exiting, no low-floor buses operates on the bus line. A steep 500 m long walk up the hill. Taking a car is recommended. From Třinec: take international road E75 and turn after the sign in Mosty u Jablunkova direction. 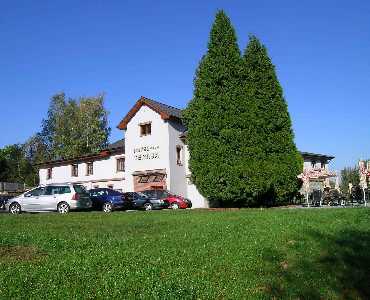 The hotel is situated near the international road, but the access road is only by passing the Mosty u Jablunkova village centre, following the signs.